That made my day! to go to Elland Rd with 30,000 fans 'baying for blood'! and win 4 - 1! it doesn't get much better than that. No distractions now (transfers, fa cup) all we need to focus on is the next game against Millwall, get a result there and then hopefully cash in our game in hand against Bolton! but for now..... 4 - 1 BLUEBIRDS!! Villa lost. 14 games to go but we are 2 points ahead of 3rd and 11 points ahead of 7th. I would have been delighted with 6th at the beginning of the year but lets make a go of the final third and see if we can achieve the impossible, automatic promotion. Ipshits midweek, we go again. Fingers crossed for another good week! Two tricky games but both should be winnable - this time next week it would be great to still be be in 2nd spot. Awful game of football but we won ugly again, another 1 nil win. 12 games to go, 15 points ahead of 7th, whisper it quietly but we may be on he verge of something special. That's the coldest match I've been to for some time! and the football wasn't exciting enough to take my mind of it!! UNTIL that goal! I don't think I shivered again after that!! 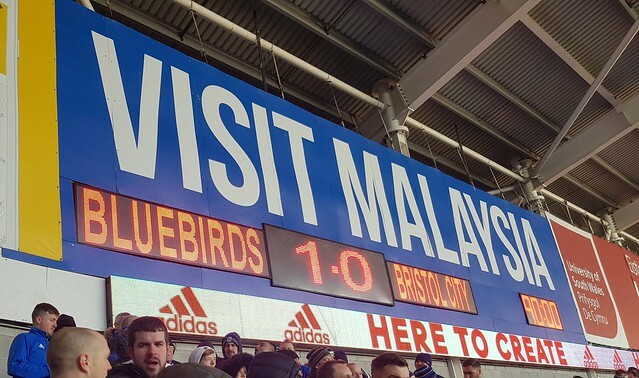 It's been a near perfect week for Cardiff City Brentford next - and even a defeat wont take us from auto promotion but lets look up instead and chase down those wobbling Wolves! Didn't look like a promotion hopeful at all yesterday and our backs were against the wall from the 60 minute mark but a win is a win. Shame Villa and Fulham also won but Derby dropped points and we are only 3 points behind Wolves who have Leeds tonight. Roll on Birmingham City on Saturday! Dare we start to believe?